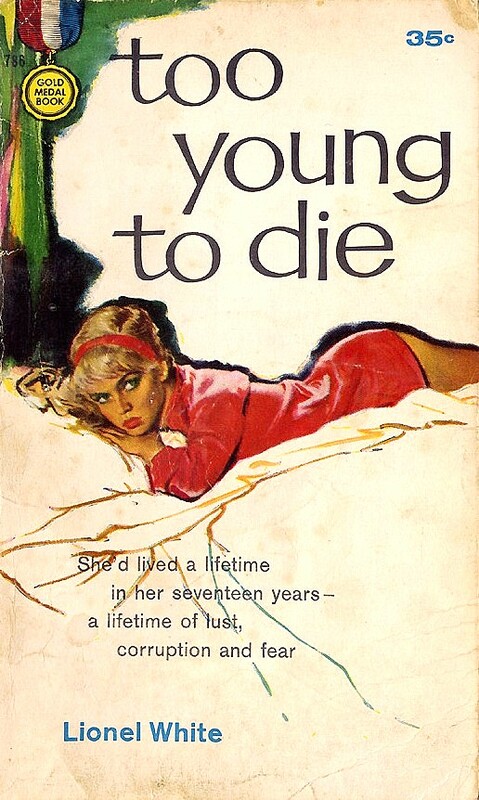 Enjoy, on the left, the suggestive front from Too Young to Die, a 1958 Gold Medal release by Lionel White. Although the artwork isn’t credited, it may have been created by Charles Binger. 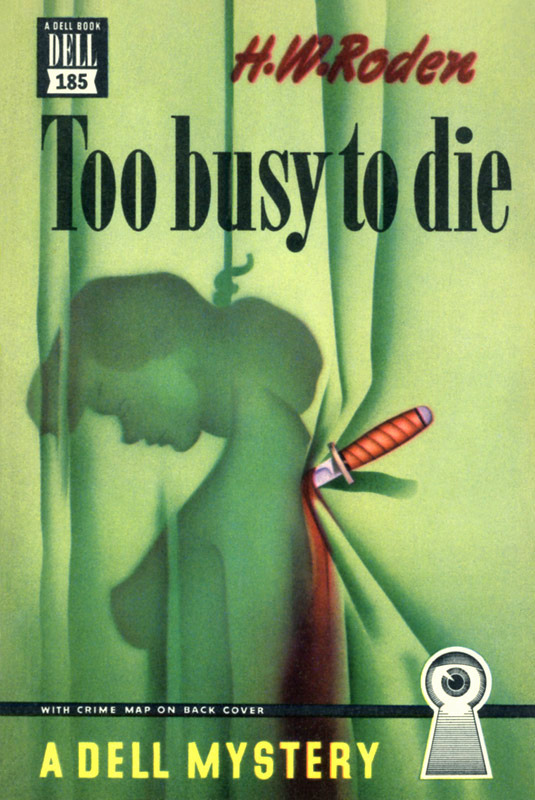 Meanwhile, the cover on the right comes from Too Busy to Die (Dell Books, 1944), the second of H.W. Roden’s Sid Ames/Johnny Knight mysteries. 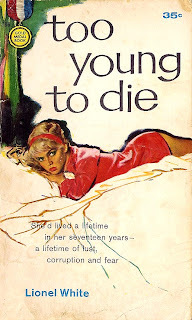 Gerald Gregg was responsible for that cover painting. READ MORE: “Archived Review: H.W. 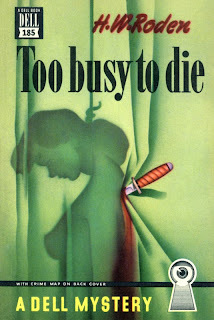 Roden – Too Busy to Die,” by Steve Lewis (Mystery*File).